Somewhere in this book, Wharton observes that clever liars always come up with good stories to back up their fabrications, but that really clever liars don't bother to explain anything at all. 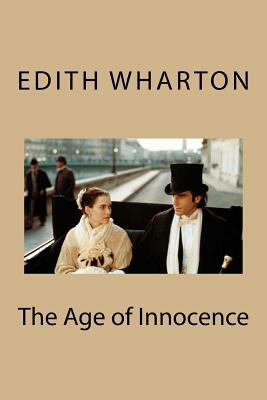 This is the kind of insight that makes The Age of Innocence so indispensable. Wharton's story of the upper classes of Old New York, and Newland Archer's impossible love for the disgraced Countess Olenska, is a perfectly wrought book about an era when upper-class culture in the U.S. was still a mixture of American and European extracts, and when society had rules as rigid as any in history. We are delighted to publish this classic book as part of our extensive Classic Library collection. Many of the books in our collection have been out of print for decades, and therefore have not been accessible to the general public. The aim of our publishing program is to facilitate rapid access to this vast reservoir of literature, and our view is that this is a significant literary work, which deserves to be brought back into print after many decades. The contents of the vast majority of titles in the Classic Library have been scanned from the original works. To ensure a high quality product, each title has been meticulously hand curated by our staff. Our philosophy has been guided by a desire to provide the reader with a book that is as close as possible to ownership of the original work. We hope that you will enjoy this wonderful classic work, and that for you it becomes an enriching experience. Are you ready? 5 days and counting!